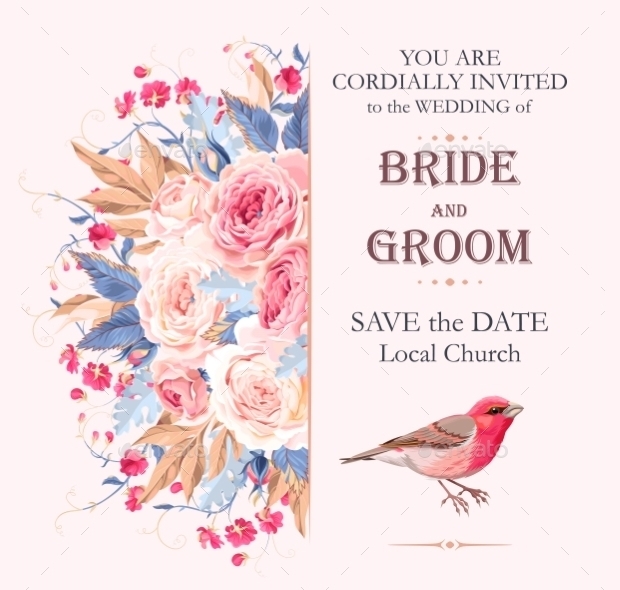 Wedding invitations are an important element of your special day in order to ask guest to save the date, as well as asking them to RSVP so that you can properly assess numbers and plan your perfect day. 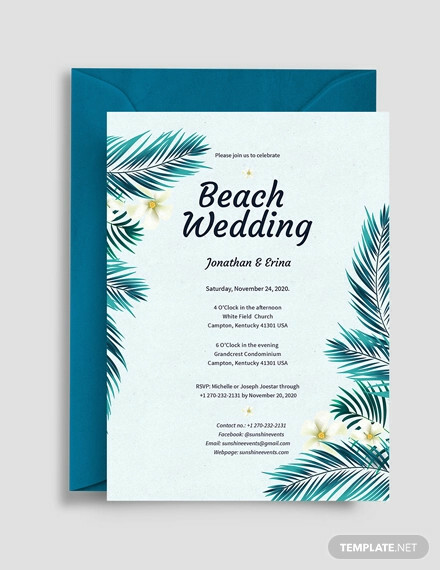 This list has put together a wide range of wedding invitations in a number of different designs and themes so that you can find the perfect design to give your day the best start, and gather all of your loved ones. 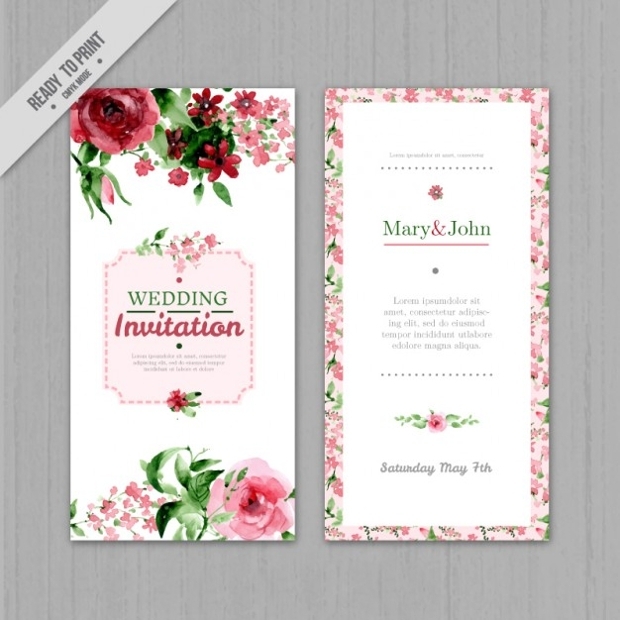 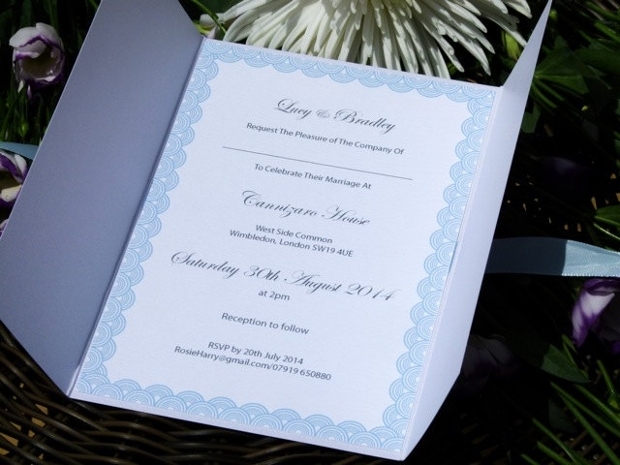 This floral wedding invitation is a white invitation with floral borders in two corners. 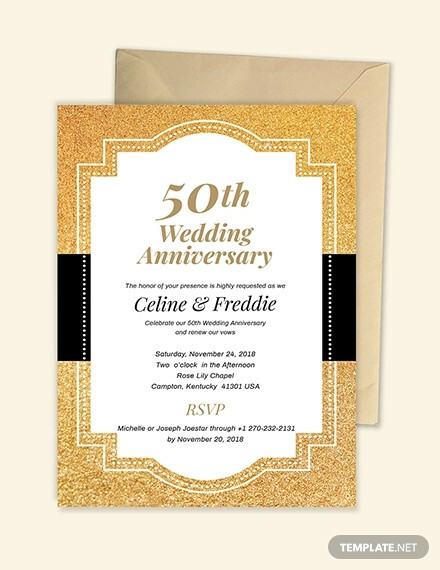 The design also has gold writing and a gold border in order to give an elegant design to the wedding invitation. 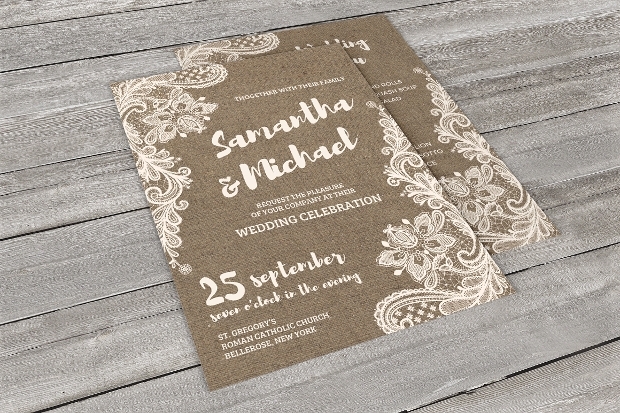 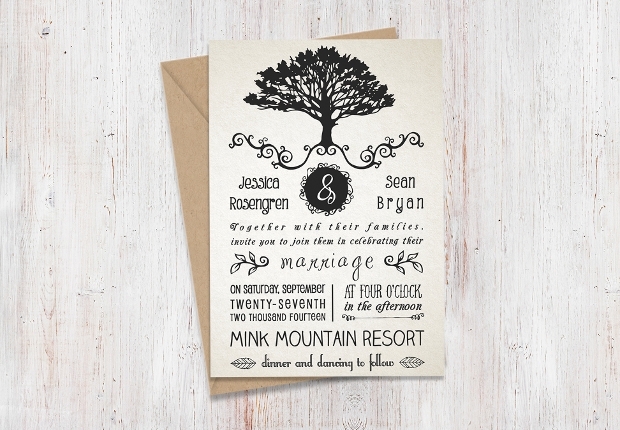 This set of rustic wedding invitation is a simple brown card with printed font. 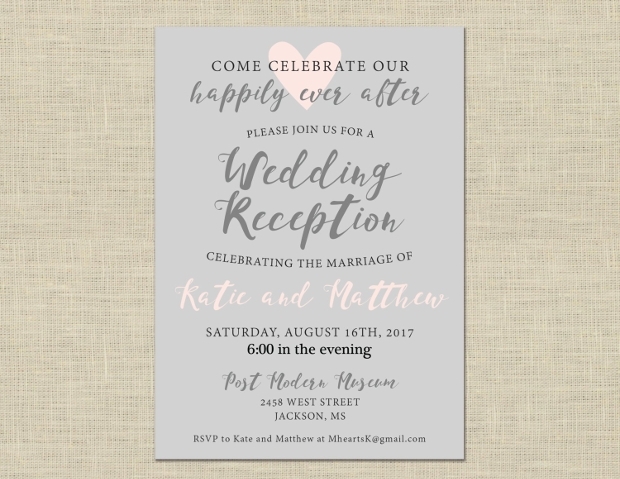 This design is perfect for a more simple wedding, or a toned down wedding party, as the invitation is simple, but still elegant and beautiful. 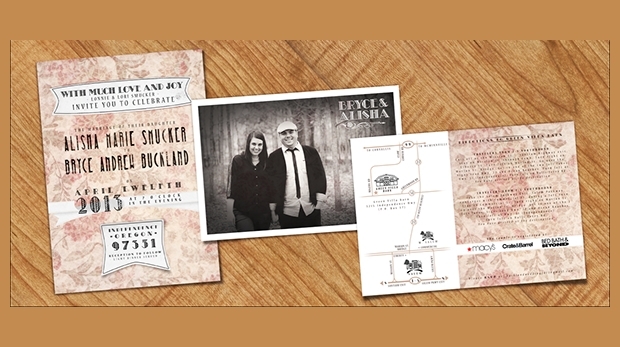 This wedding invitation is a clever design that is based on the design of an old movie ticket, which is perfect for a vintage film themed wedding in order to tell the guests the theme, and have all of the wedding stationary tie in with the theme of the wedding. 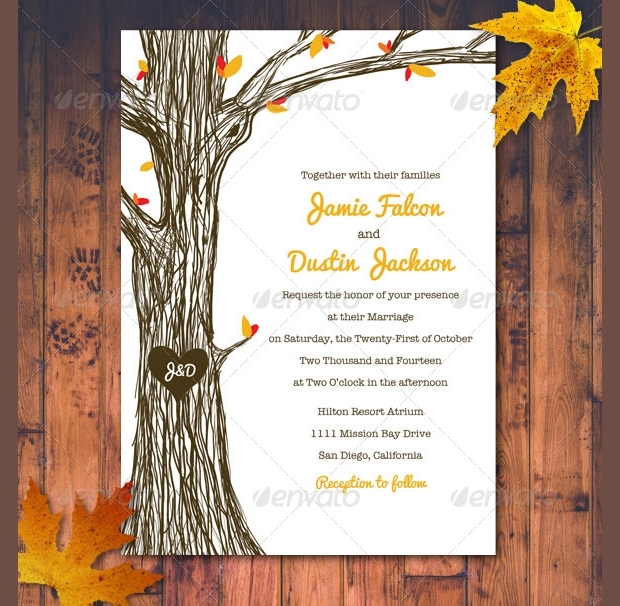 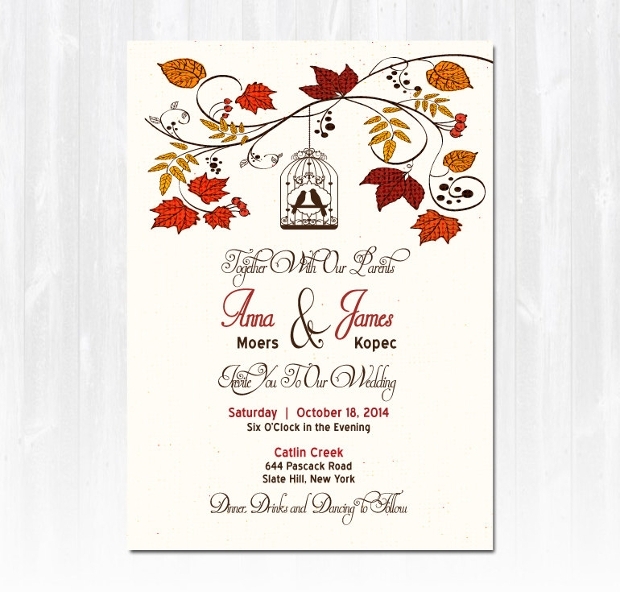 This fall wedding invitation is a simple invitation with the cartoon image of a tree and two lovebirds in the colours of fall, which is perfect for a fall wedding. 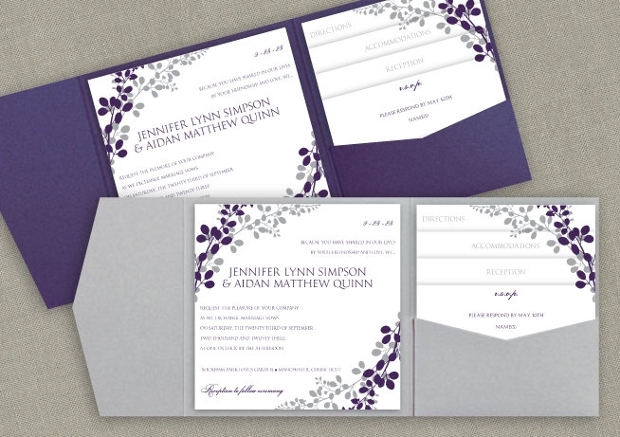 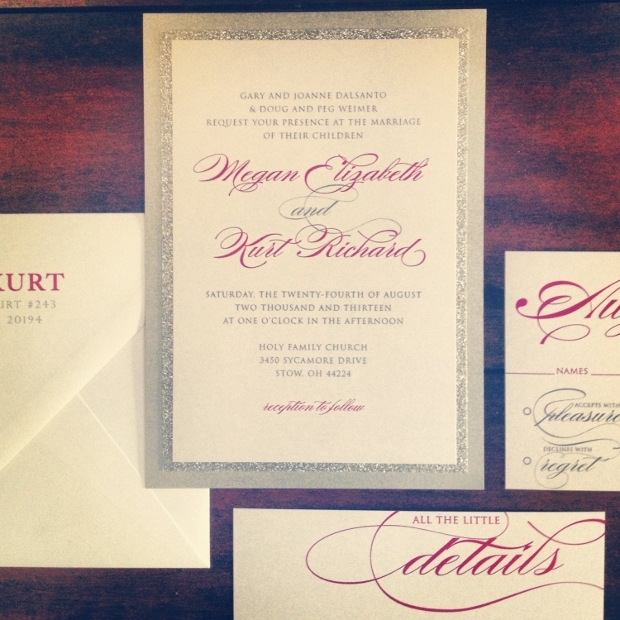 The design shows the season of the wedding, as well as informing the guests of the important information. 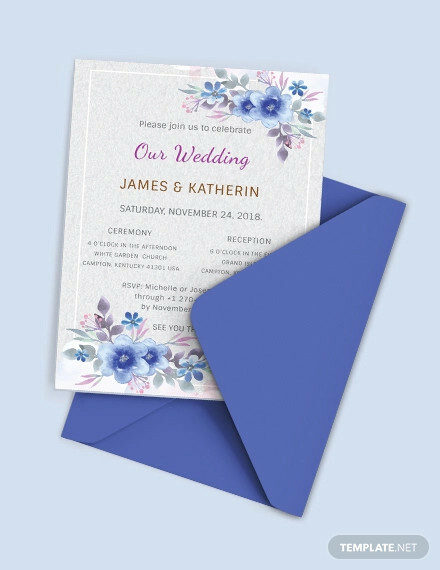 This simple watercolour wedding incitation design is a simple wedding design with a floral border painted in watercolours. 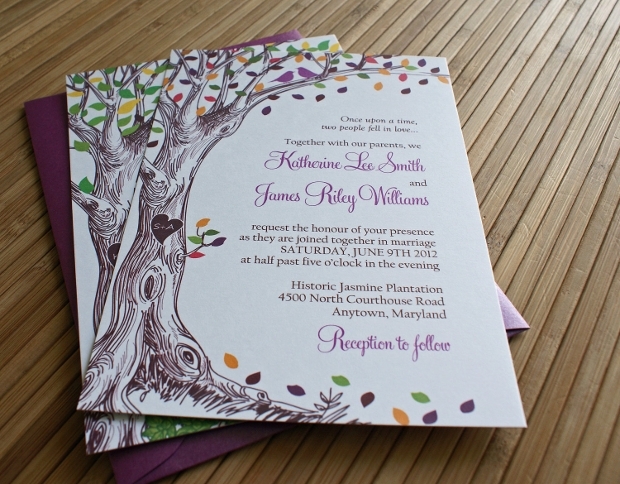 This design is a simple design that is perfect for a spring or summer wedding to inform guests of all the information. 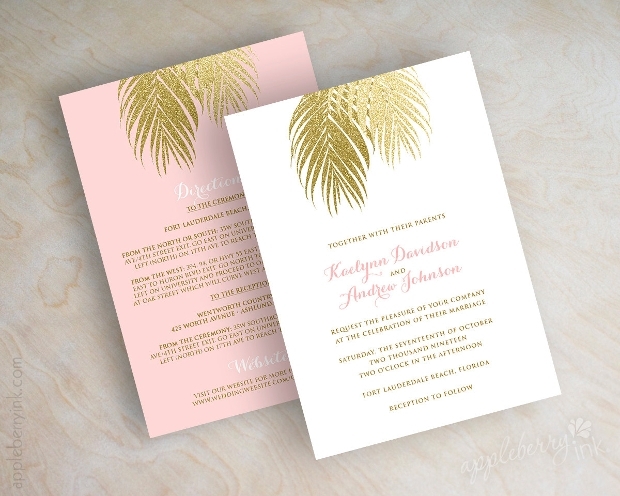 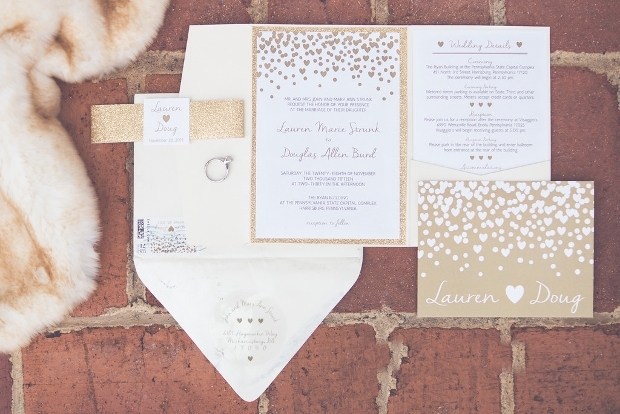 This wedding invitation design is a simple gold and white invitation, but there are some added glitter embellishments in order to create a bold and special feel to the invitation. 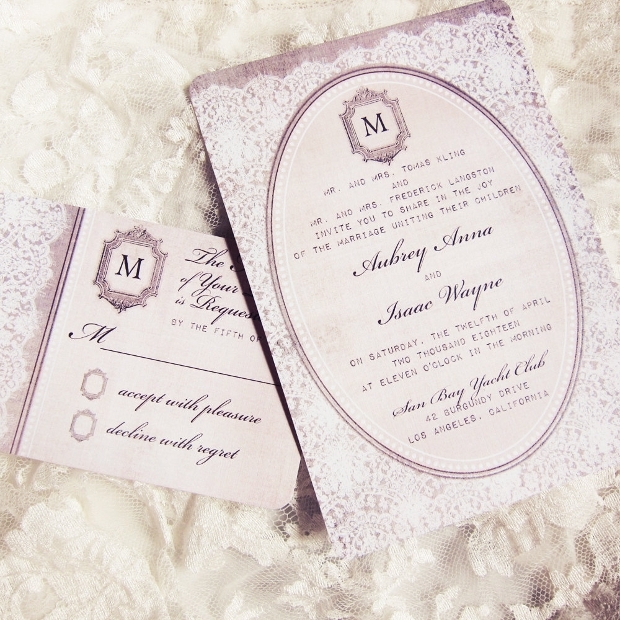 This invitation is perfect for any theme of wedding in order to celebrate with friends and family. 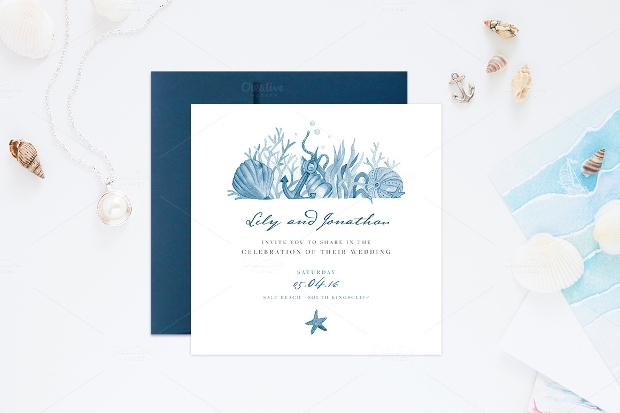 This snowflake wedding design is a simple blue and white invitation with a white ribbon and jewelled snowflake. 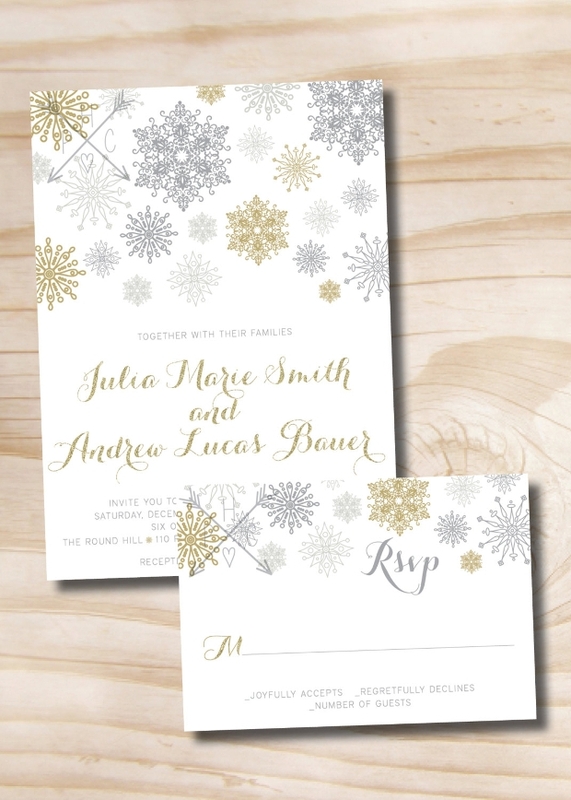 This design is perfect for Christmas themed weddings or for wedding that will take place in the winter season. 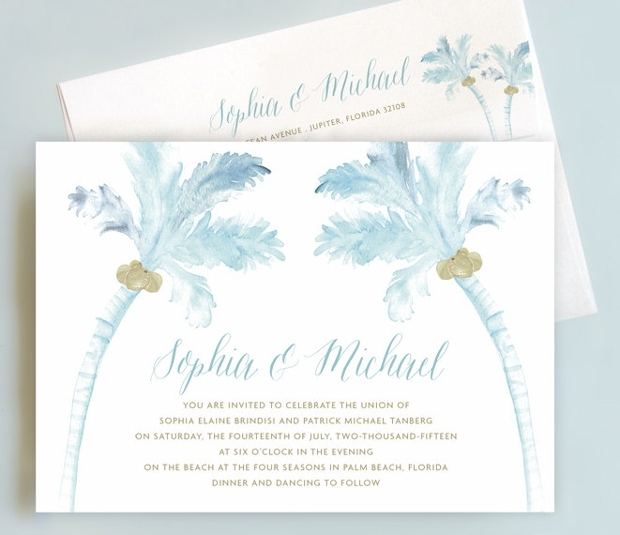 This beach wedding invitation uses the image of a beach and the image of shells and branches to create this summer themed design. 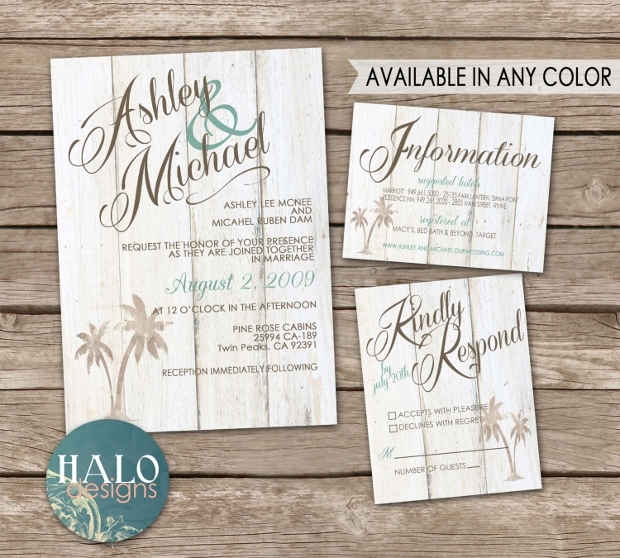 This design can be used for weddings that will be taking place on the beach, or for summer themed weddings. 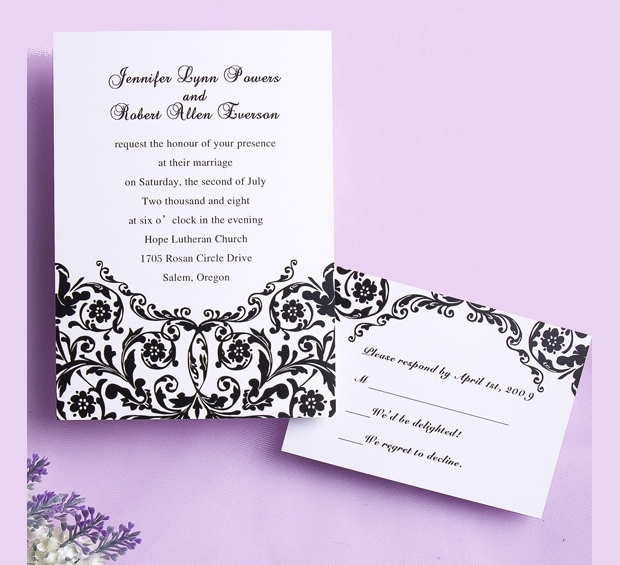 This wedding invitation design is a simple black and white wedding invitation that is simple yet elegant, perfect for a wide range of themes. 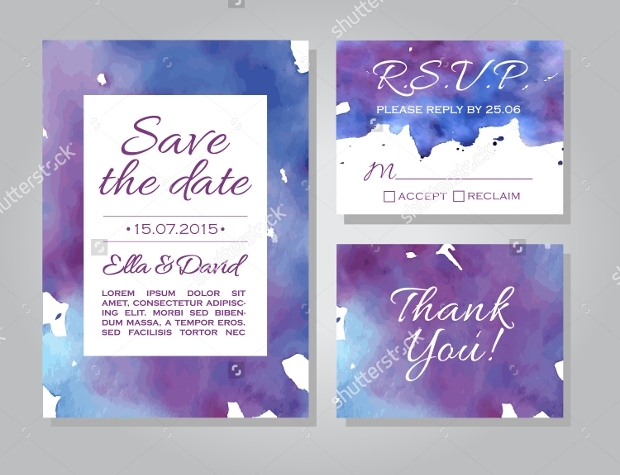 This design can be easily customised and printed at home. 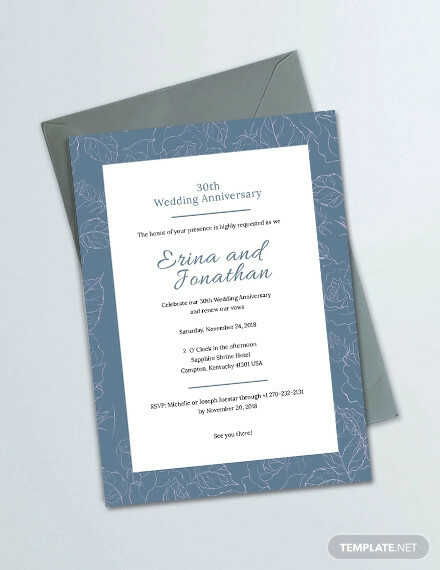 This simple and elegant wedding invitation is a grey schemed design that is ideal for a more sophisticated wedding theme in order to give the perfect theme and design to your wedding invitations. 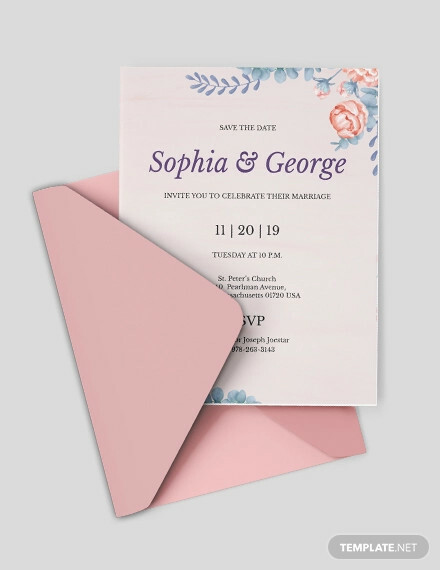 This wedding invitation is a clever wedding invitation design with pockets for advertising paces to stay, directions, and the RSVP cards to give your guests all of the important information that they need to get to the right place to help you celebrate the big day. 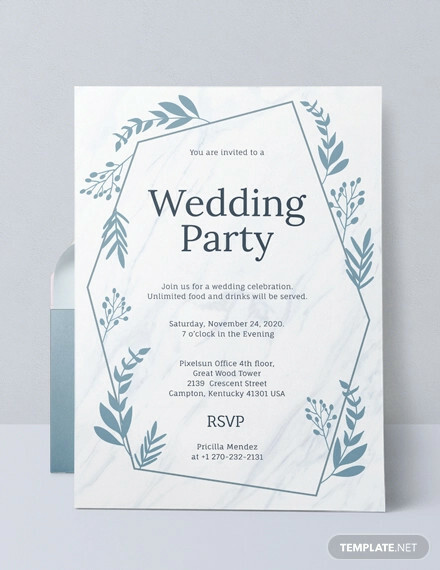 This wedding reception invitation design is a simple grey and white design with block lettering to invite guests to the reception of your wedding so that you can gather the people that you love to the event to celebrate with you. 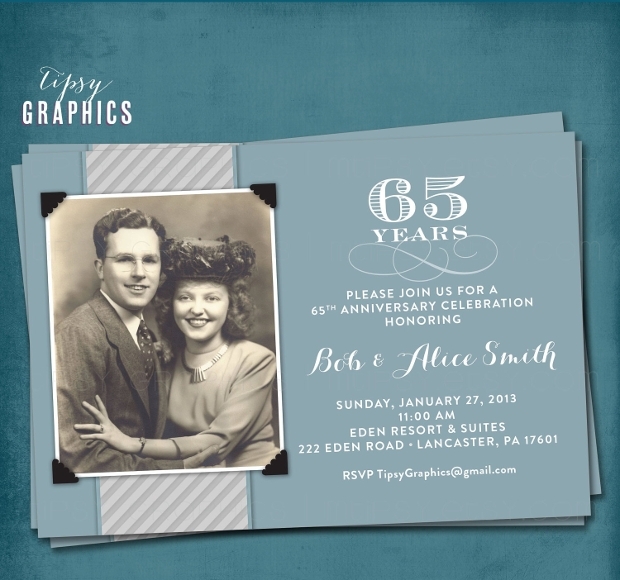 This photo wedding invitation uses an image of the betrothed couple to create this beautiful and personal invitation design. 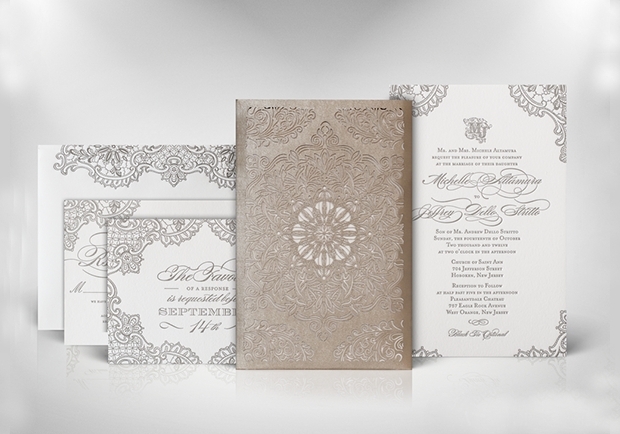 The design has a half white design with some lace embellishments to create a beautiful and versatile design. 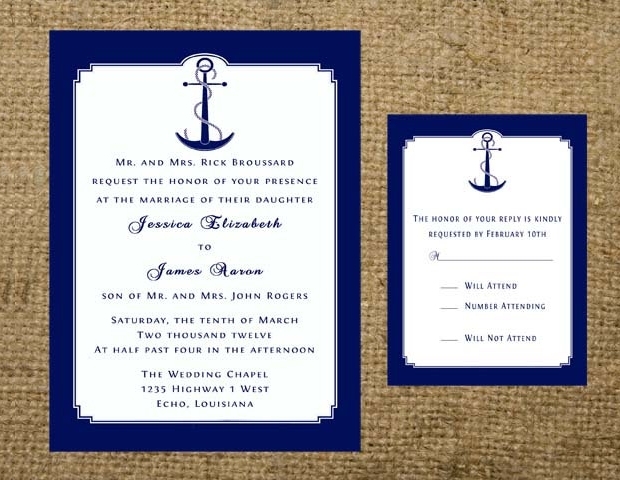 This nautical themed wedding invitation is a simple blue and white invitation with nautical font and embellished images to show your guests that your wedding will have a nautical theme so that they dress accordingly. 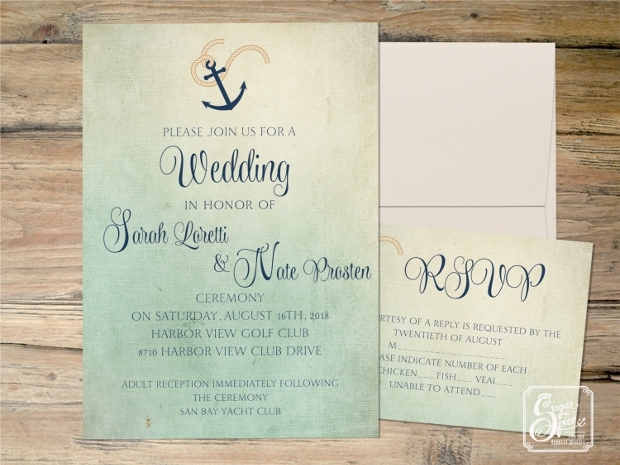 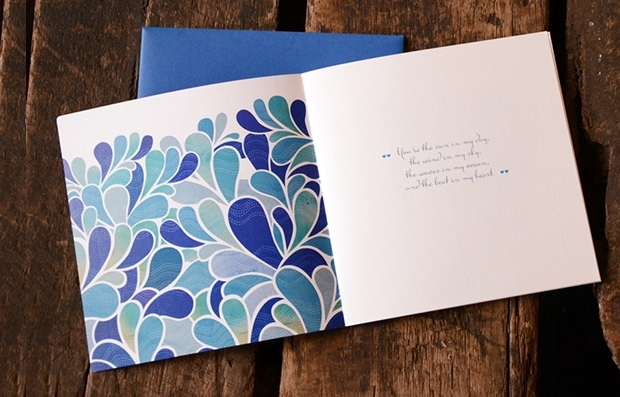 This design is perfect for couples that spend a lot of time on boats or sailing. 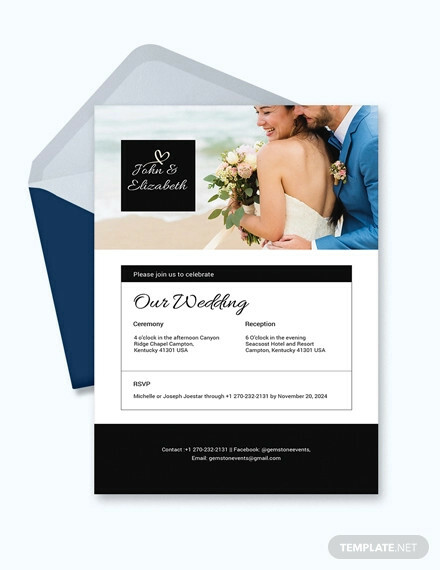 This art deco black and white wedding design is a simple yet classy shell shaped design that creates a beautiful theme and design to your wedding in order to gather your guests to help you celebrate. 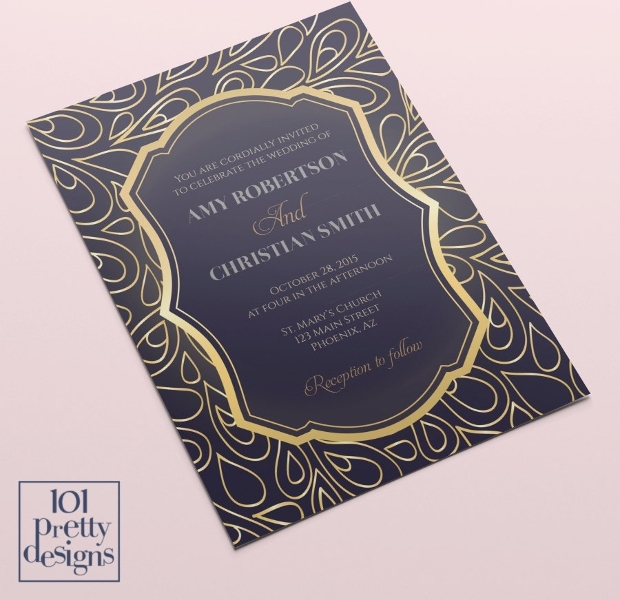 This art deco wedding invitation design is a beautifully simple black and white design that gives a simple and elegant theme to the invitation. 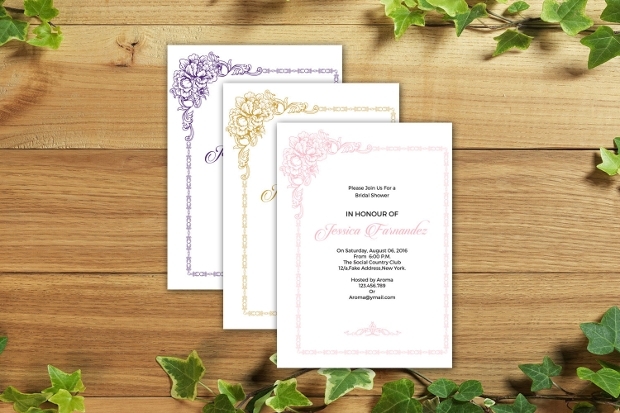 This invitation is suitable for a huge range of wedding themes, as the invitation itself does not carry a particular theme. 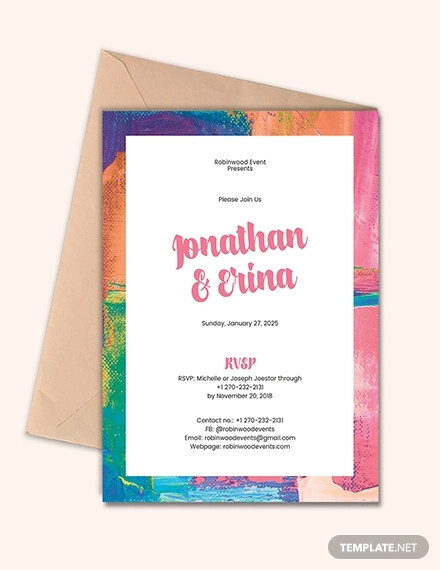 Event invitations such as baby shower invitations and wedding invitations signify the important moments in life that you want to share with family and friends. 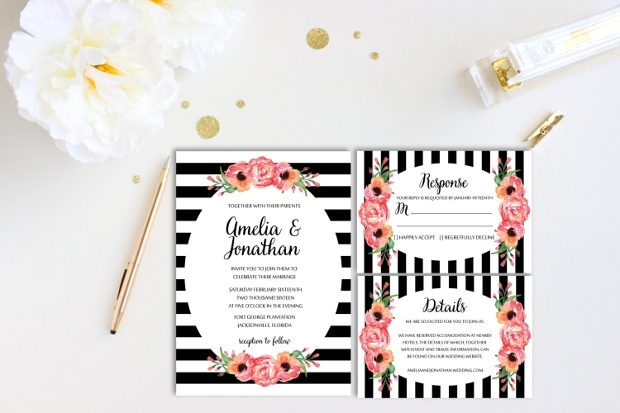 We are confident that this list will give you all that you need to find the inspiration and designs so that you can gather your loved ones for your big event. 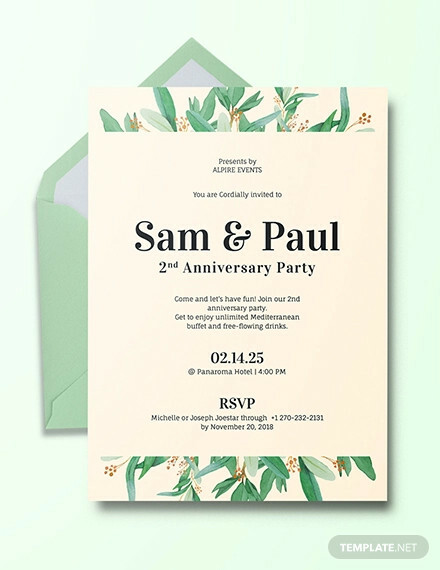 How are invitation designs useful? 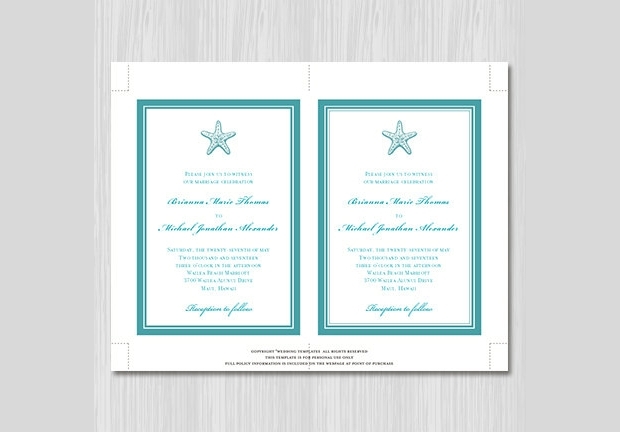 Invitation designs are an excellent way of letting family and friends know abou the big events in life and gather them all to the same place to celebrate. 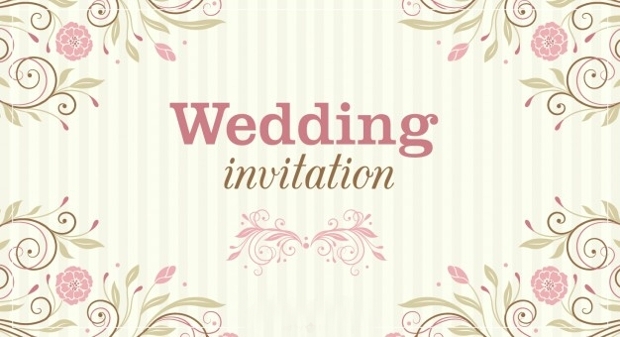 The design of the invitation can help to set the theme of the part so that you can create the perfect event. 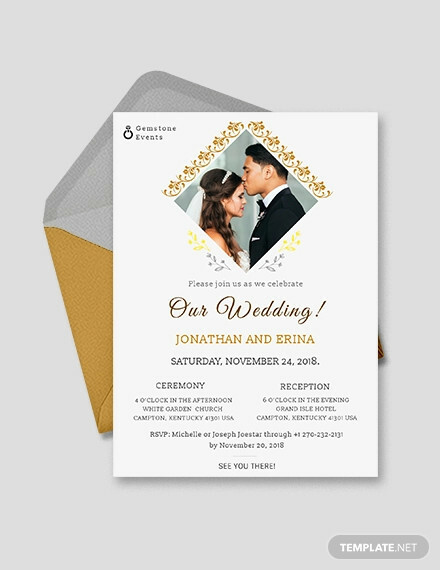 To select the perfect design you should look at what theme you are choosing for your event so that you can coordinate the design of the invitation. 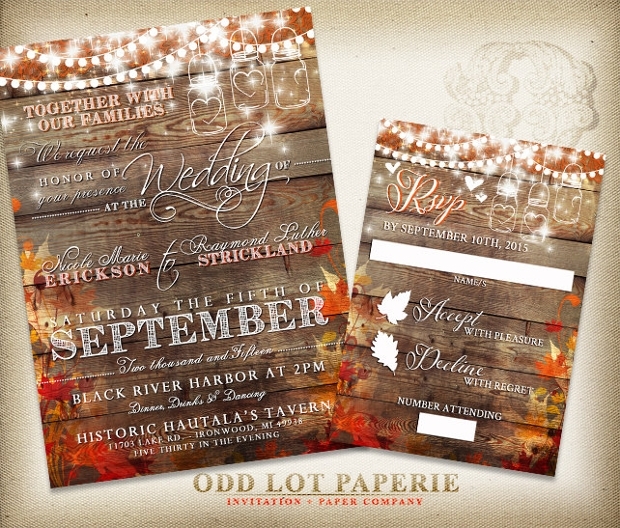 If you are not having a theme then think about the time of year or the season so that you can tie the event or design of the invitation in with that.